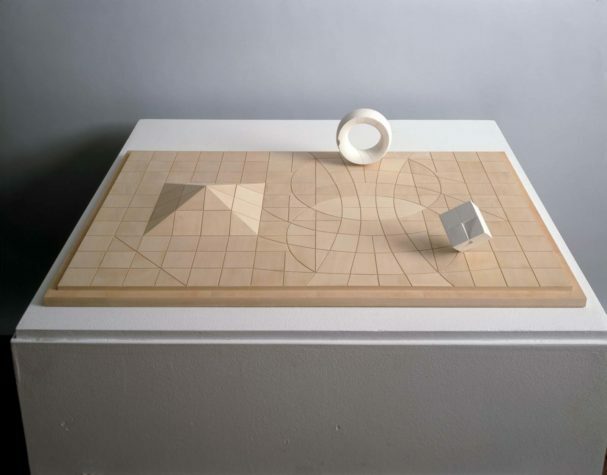 Opening this month at the Portland Museum of Art, Beyond the Pedestal: Isamu Noguchi and the Borders of Sculpture, is an exhibition highlighting the wide-ranging works of Isamu Noguchi. Noguchi, a Japanese-American modernist, is best known for his traditional sculptures, landscape architecture, and interior design. Among other known works are playground structures, monuments, and stage sets. 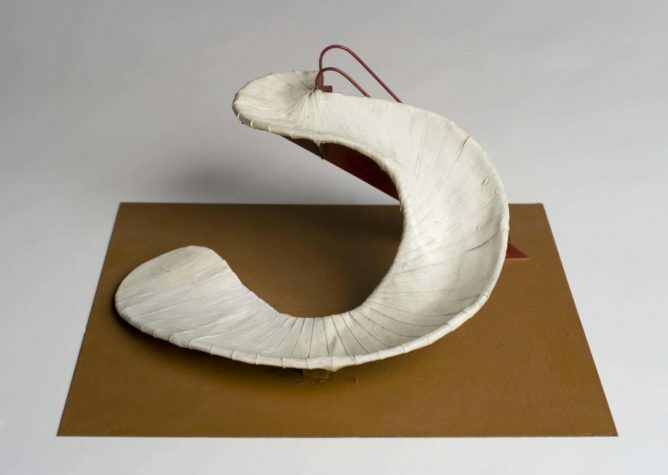 Noguchi’s career spanned over six decades, in which he regularly experimented with the melding of objects, people, and space. 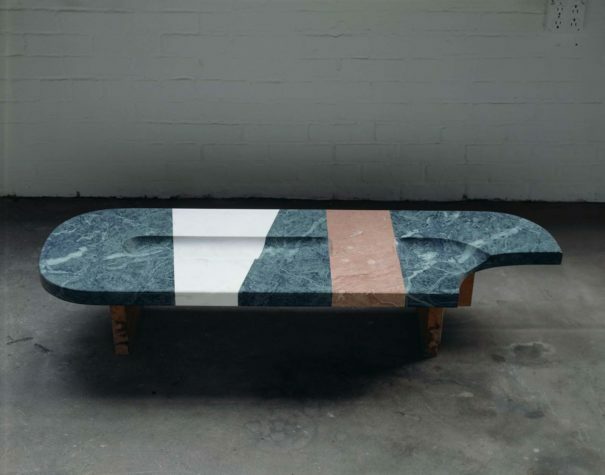 Noguchi’s art was greatly influenced by his voyages around the world: Japan taught him about earthy ceramics and tranquil gardens; in Mexico he learned the impact of large-scale public works; China taught him about subtle ink-brush techniques; and in Italy he studied the purity of marble. 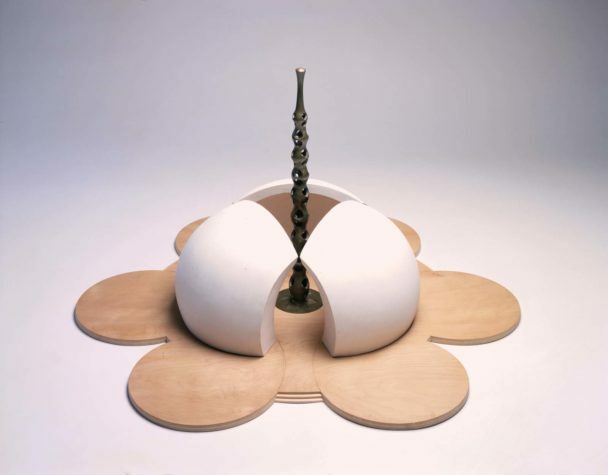 Throughout his travels, Noguchi endlessly experimented with his art. He turned to modernism and abstraction after traveling to Paris in 1927, where he worked under Constantin Brancusi and found himself inspired by Brancusi’s reductive art forms. 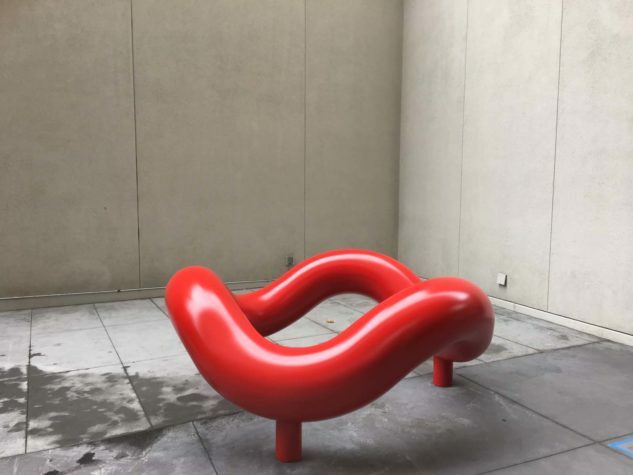 It wasn’t until 1938 that Noguchi was widely recognized in the United States, when he completed a large-scale sculpture for the Associated Press in Rockefeller Center in New York City, symbolizing the freedom of the press. In 1947 Noguchi collaborated with Herman Miller to create his famous glass-topped coffee table, which remains an icon in midcentury modern furniture today. Beyond the Pedestal: Isamu Noguchi and the Borders of Sculpture opens to the public on October 5 and will be available for viewing until January 2019. The exhibition is free for members of the Portland Museum of Art; all other ticket information can be found online. 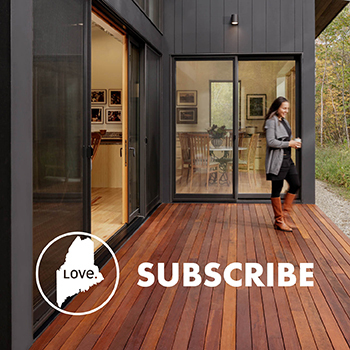 Maine Home+Design gives a preview of the exhibition on the following pages.